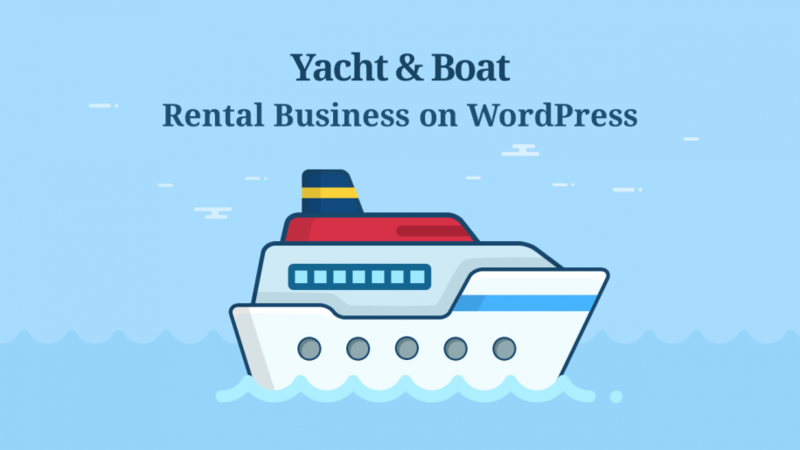 If you hire out water vehicles, such as boats, kayaks, powerboats, fishing charters, yachts, canoes and similar, a boat rental WordPress website is going to save you hours of time of your business routine. Needless to say, this is an irreplaceable method to increase brand awareness in your local area, automate your bookings or streamline communication with your renters. We’re not going to tell you how to start a boat rental business, of course. It’s your niche. But we can help you outline the main steps of creating a WordPress website, no matter whether you’re just starting out or already have years of experience under your belt. Getting to the point, as far as I know, there is no any specific WordPress-native boat reservation system (i.e., sharpened for the boat rental business). There are, however, different WordPress booking plugins for appointments (hourly and date bookings) and spaces (generally date-based). So no matter which solution you choose, your task is to adjust it to the realities of your own business. 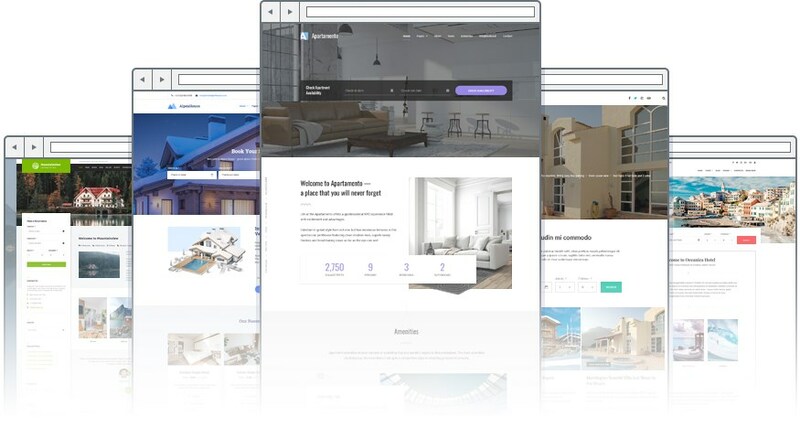 In this tutorial, we are going to walk you through key steps of the process of creating a website for your business – a boat or yacht rental site by means of the MotoPress Hotel Booking plugin. As its name suggests, it wasn’t initially built as a boat booking system. At its core, the plugin is an online WordPress reservation system for rental properties like hotel rooms, bed & breakfast spaces or villas. But don’t worry – we know how to make it work for your business! If you feel comfortable about the “accommodation”-centered lingo of the admin dashboard, you’ll be fine. The best thing about this plugin is that you don’t need to patch together different software; Hotel Booking encompasses the online property reservation software, a property listing builder, all popular payment gateways, billing tools, and more. And you’re never charged any pay-as-you-go or per-booking commissions. Never. So if you are looking for something you can set up once and then accept and track payments via one full-fledged system, than you’d definitely be willing to dive deeper. There is just one warning before we proceed: the plugin is not optimized for hourly bookings (so far); it’s suitable for date-based watercraft rental needs only (that is, the minimum booking slot is one day). If you do need hourly bookings, check out this tutorial. In any case, I’ll try to take you through the most essential tools of this plugin so you can make up your mind. 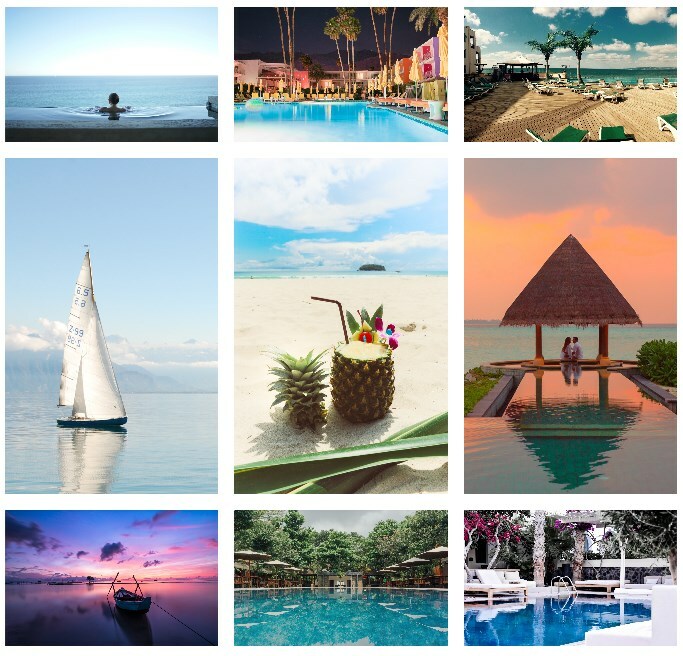 To show examples, I’m going to primarily use Campterra – our premium theme with the Hotel Booking WordPress reservation plugin bundled at no extra cost. 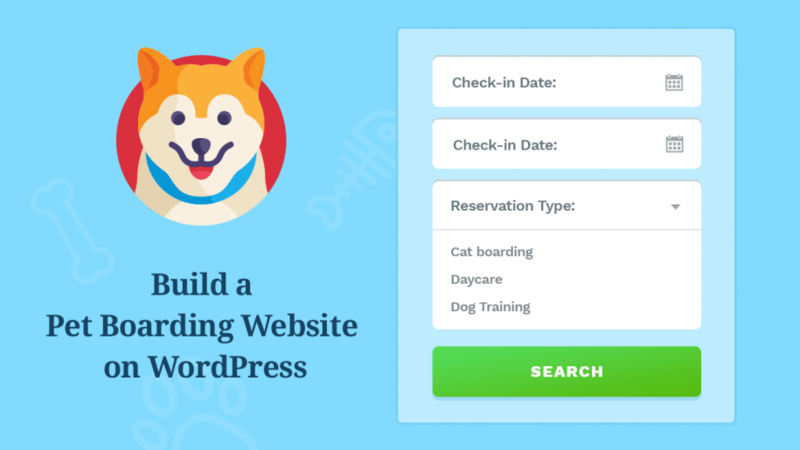 Let’s assume you already know how to create a WordPress website and we can move forward to the plugin setup. As a matter of routine, you’d want to start with adding and classifying water vehicles you are going to display on your website (and optionally turning online bookings for them). The easiest way to get started is to follow the plugin prompts upon installation. It’ll offer you to import demo data to your WordPress website to hint you along the way what is what. Then go through the following settings. No matter whether you are a private owner or a commercial operator with numerous watercrafts, you can add unlimited rental units. If all of them are of different types, you can create an individual “accommodation type” for each. The plugin is optimized for the WordPress Gutenberg editor, so you are not going to feel any customization limitations neither in the goold old Classic Editor nor in Gutenberg. Elementor: just install this free concierge add-on and edit Hotel Booking plugin content in a visual editor. Divi: it works in just the same way for Divi users via our free extension. Design doesn’t always come easy, so both add-ons are a massive deal in terms of customization. They help you get deeper into making any content block look stunning in almost any (professional!) WordPress theme. If you, however, prefer a 100% out-of-the-box perfect website appearance, our purpose-built themes by the award-winning designer are, to be sure, the wisest solution (a bit of boasting!). We also use Elementor for our top-popular WordPress rental themes, such Alpenhouse and Aquentro. But let’s get back to the admin dashboard. Add any pre-bookable extras, such as excursions, tours, services, etc. These are the core categorized tools. You, however, can add even more custom details like policies, location, videos, etc. for each rental boat. The output (design) of the rental units on the live website will directly depend on the styles of your WordPress theme. 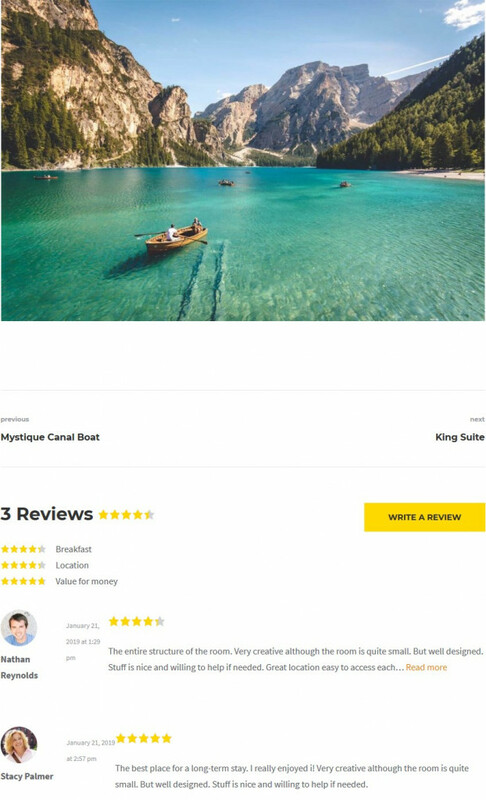 I’m a fan of this layout in Ciestra (its fresh and clutter-free design seems to be a good fit for a rental boats website). To make Hotel Booking text adjustments and translations, the plugin comes with a language guide (you’ll be able to use preferable WordPress software to edit and translate content). If you’re not just hiring out boats, yachts or kayaks, but can also boast about great services, provide them as well under one roof! These services will be listed on the checkout page so you increase your odds to engage your guests to book more! The total service price will be added to the total sum of the charges, so you’ll keep all billing data at one place. So how do you prospects find the best boat for the needed dates? 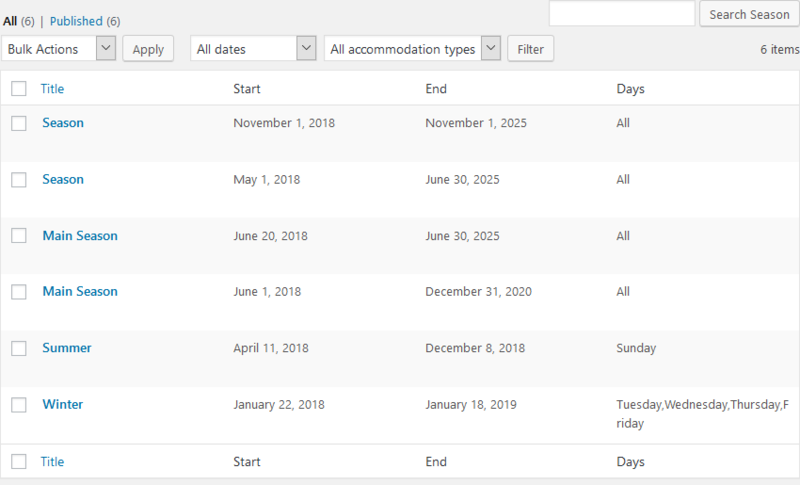 For a few water vehicles, you can basically display them on the landing page (or anywhere you want) with their own availability calendars (real-time information) so that guests can book free slots directly from the boat page. Or you can accelerate and simplify this process for the website visitor by adding the boat search form into any website page. 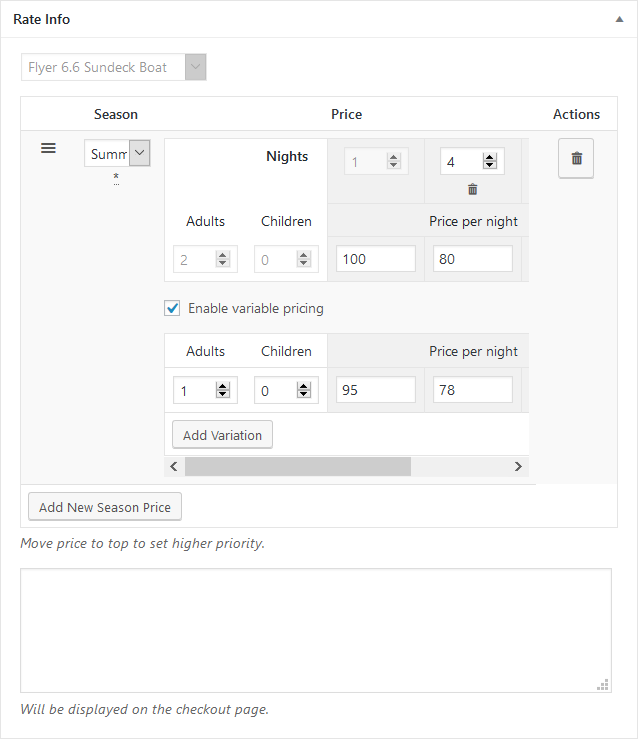 You can keep it simple with default fields, such as departure and arrival dates and the number of guests. If you have a large selection of watercrafts that differ by type, capacity, purpose or any other feature, you can create an advanced boat search form to let guests tailor their search with a few clicks. This will enhance the search experience for prospects. 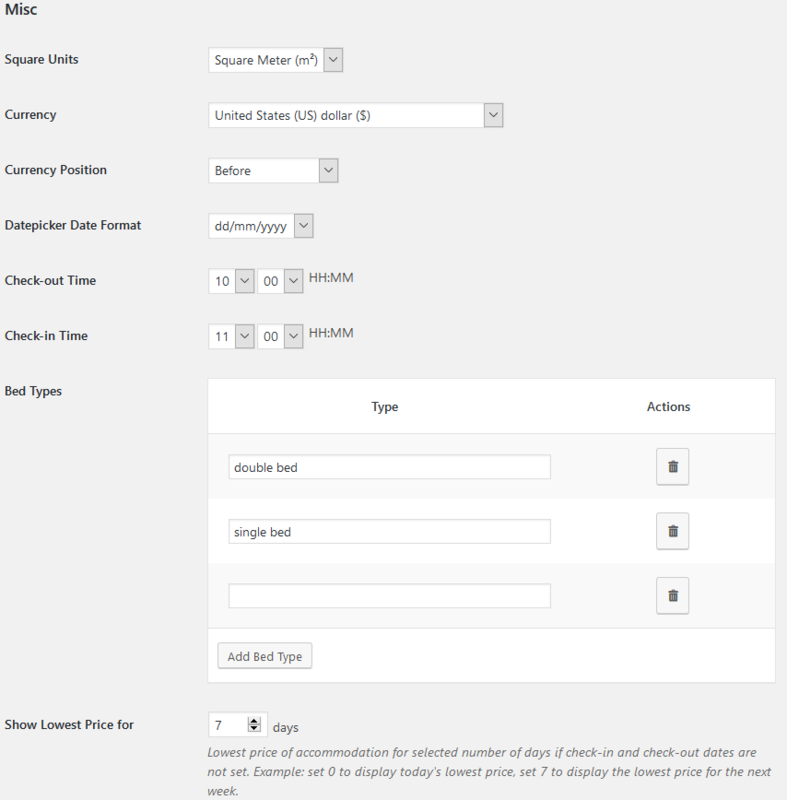 You can extend the search form with any filters – these can be unlimited custom search fields. For example, let’s add the fields like ‘’location’’, “captain” “boat power’’, etc. To make sure your guests find the right boat, you simply need to assign the applicable “attributes” to all boat types on the backend. And that’s it! Optionally, you can display details of these “attributes” right next to the rental unit. You can have as many custom seasons as you want. Want to set a higher rental price for Saturday only? No problem. The shortest “season” term is one day. Rates: these can be any conditions based on amenities, refundability, etc. Price variables depending on the number of guests. You set it up just once – the prices will change dynamically when the guest search criteria are met. 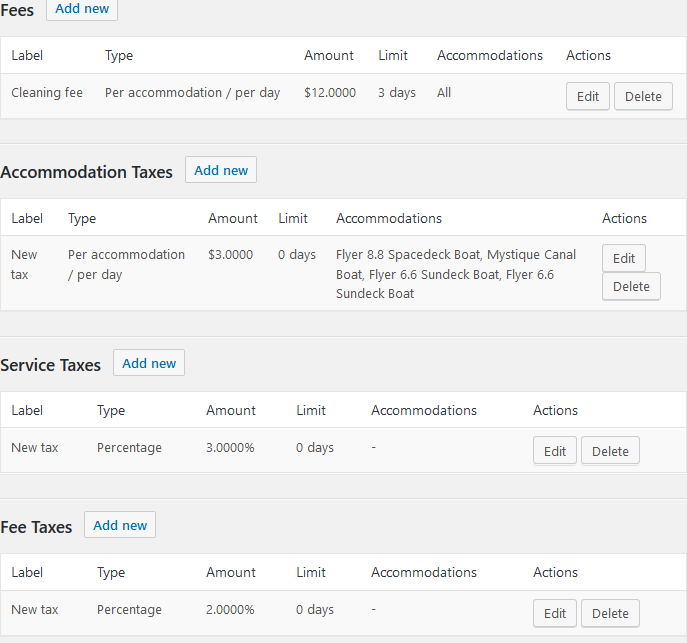 The system of the Hotel Booking plugin can handle everything tax-wise. Feel free to add any number and types of the taxes and fees. You can designate percentage and monetary values for all taxes and fees. All of them will be included into the final list of charges so your guests won’t stay in the darkness what they are charged for. This data are also filed on the dashboard. Add a simple booking inquiry form. 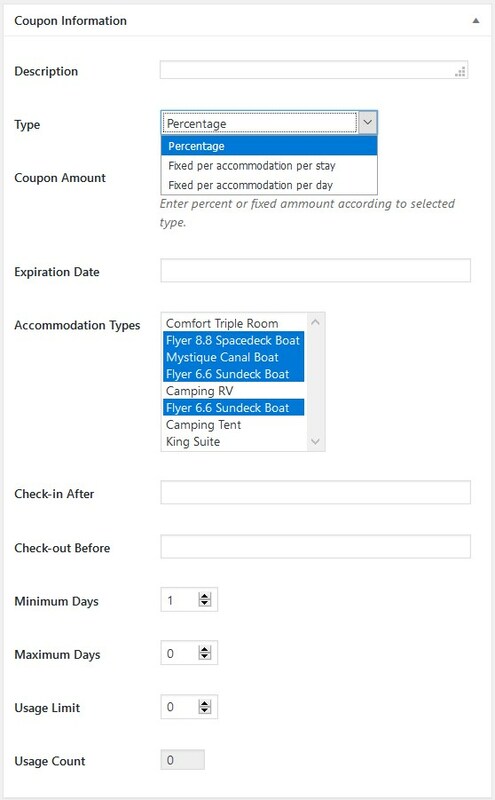 Let guests confirm bookings via email – they click on the confirmation link in the email for the booking to automatically appear in your database. Confirm bookings yourself – go through each booking request and approve them manually. 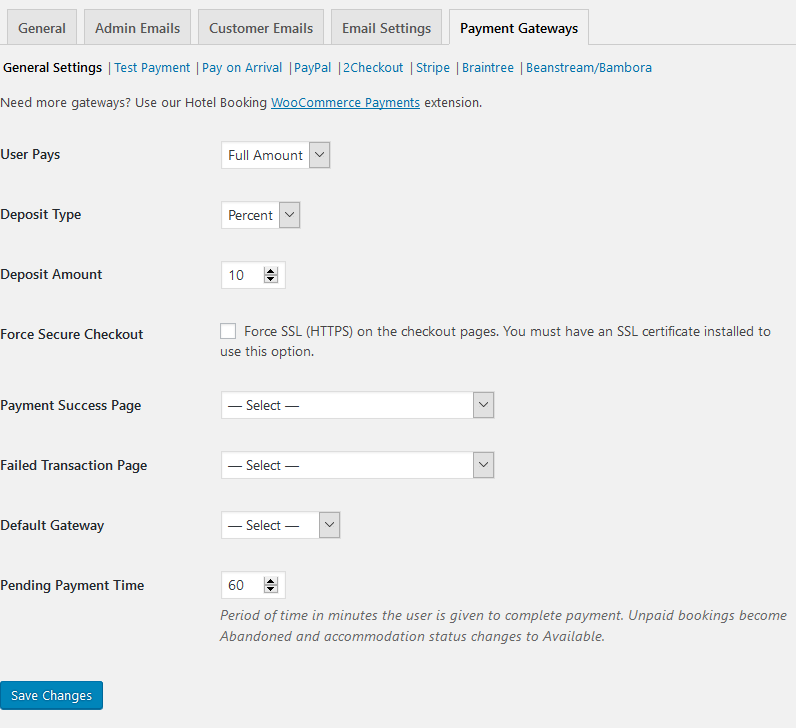 Set up the preferable booking confirmation mode via Settings > Confirmation mode. But for a truly automated experience, you may enable the system to accept payments via website online, without human interaction. 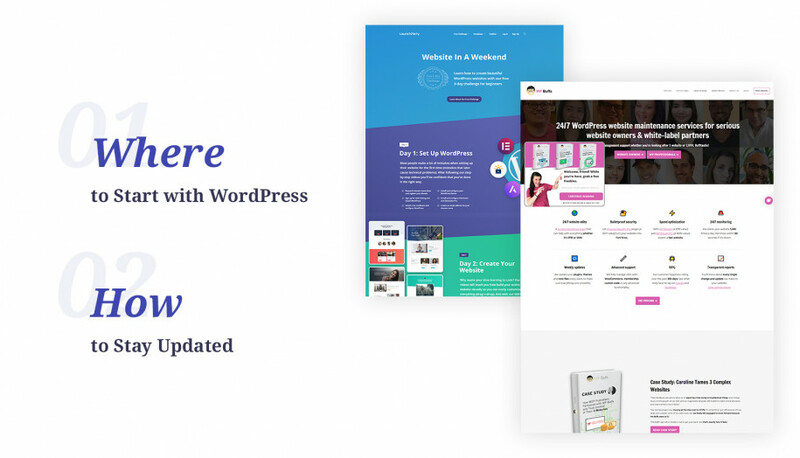 If you need more, you don’t need to set up third-party plugins, we built our own connection add-on that integrates the widest range of WooCommerce gateways with your WordPress website: WooCommerce premium add-on. Utilizing this extension, you can wire up dozens of region-specific gateways. Yes, this is a premium add-on, but in the end, it’s generally cheaper to use a ready-made plugin than hire a developer for hooking up extra gateways. You can accept both full and deposit (fixed / percentage) payments. We also created a perfect Payment Request extension to automate payment requests and collection from your guests, which works for any of the aforementioned models. 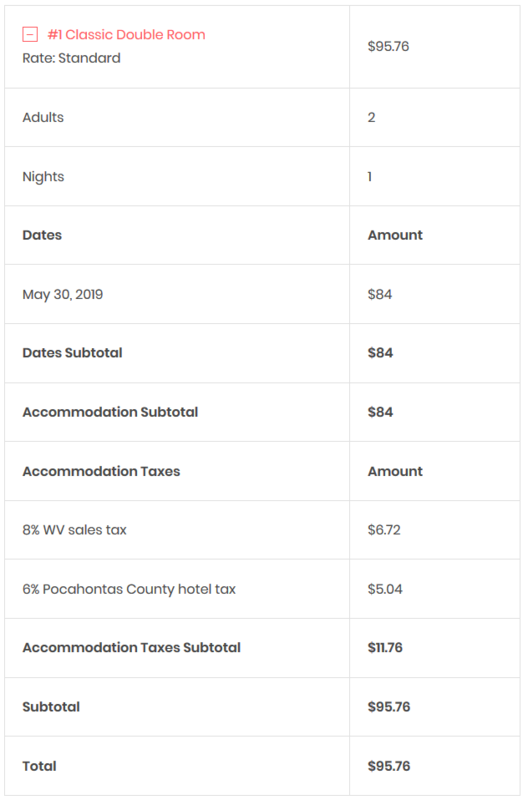 When connected, it sends automated payment requests and allows guests to pay for their reservation in a certain number of days prior to the trip. For the lodging business, our customers can even synchronize reservations with the third-party marketplaces like Airbnb. You may also make use of this feature if the boat listing websites you use support iCal file format to exchange events data (you can find this out with the marketplace website if you use any). The system of coupons is built in: you can create unlimited custom coupons for specific guests (or showcase them publicly on your website). To generate the needed coupons, go to the “Coupons” menu: monetary and percentage values are available. There are tons of extra settings to shape coupons for your marketing purposes. Need to state the minimum or maximum number of days your rental can be hired for? That’s probably the easiest thing to do: navigate to the “Booking rules” menu and add the rules which will be automatically applied to the guest search results (i.e. 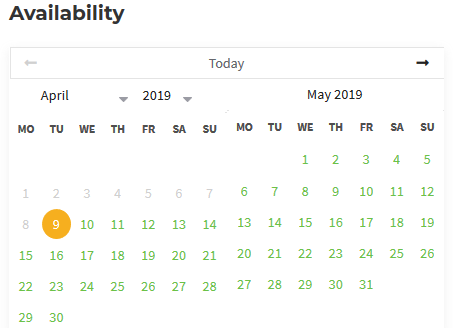 availability calendars will show all this information with unavailable days crossed out in the calendar on the live website). Of course, some vehicles may go out of order anytime or you just need to perform a planned maintenance. To sort this out for their digital counterparts, go to the admin dashboard > “Booking rules” and block the needed rentals to prevent overbooking. 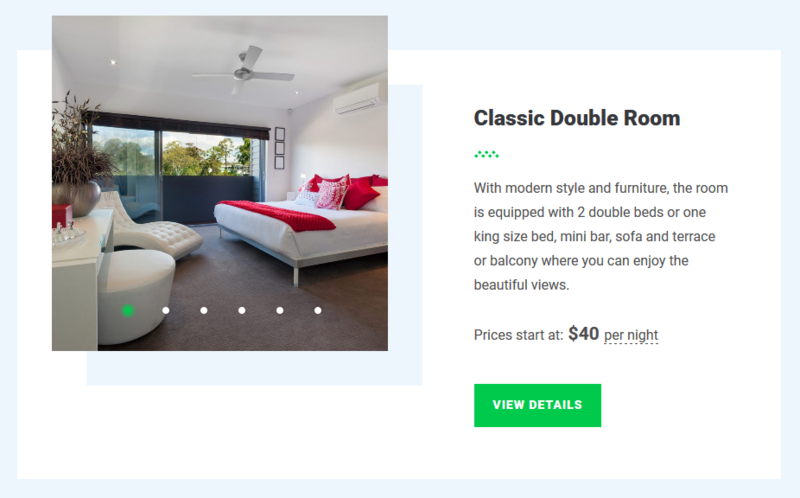 Optionally enable Gutenberg (WordPress block editor) to edit accommodation types and services pages. View booking details and upcoming reservations via “Booking Calendar” mode: you can perform different operations with them from this menu, too. Check out latest payments and bookings via “Payments History”. Perform any operations with reservations via the “All Bookings” menu. Each booking contains its real-time status (confirmed, pending payment, etc. ), the history of actions, guest details and payment information. 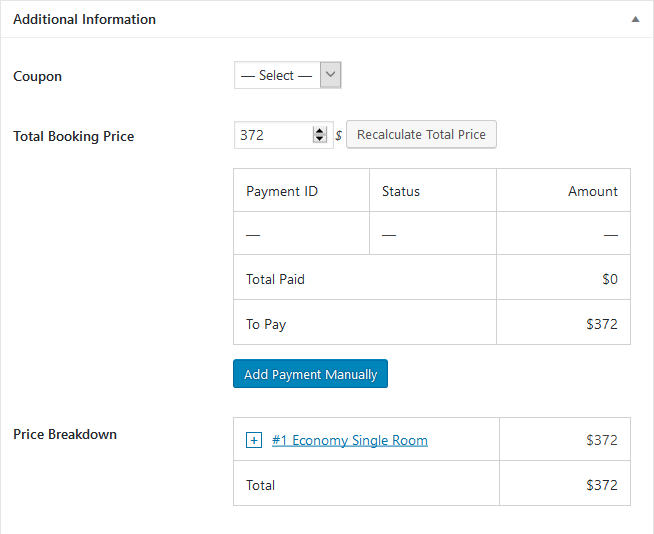 You can edit booking details and add payments manually if your guests paid deposit in advance, for example. As you see, there are tons of tools to file all payments under one roof even if you deal with cash payments or wire transfers. Once the content is added and the settings are configured, you can display it on the live website using either shortcodes (copy / paste), Gutenberg blocks or popular visual builders, such as Divi and Elementor. What can you do to get your renters recommend your service to their friends? Apart from word-of-mouth marketing, you may employ the most powerful tactics of social proof. Reviews and rating – you can enable renters to add real reviews and star rating to each vehicle you rent out. For this, you can use any plugin you like or benefit from the seamless integration of our WordPress Reviews add-on created specifically for the Hotel Booking plugin. If you are curious, you can read more in this guide. Although I hope our quick guide helped you grasp the main benefits and peculiarities of the plugin, the best way to experience it firsthand is to register a free demo account. It’ll give you access to all tools, so you’ll simply be able to understand whether it ticks all your boxes. If you haven’t started a WordPress website yet, our ready-to-go WordPress rental themes with the MotoPress Hotel Booking online reservation system integrated for free can be a perfect starting point. 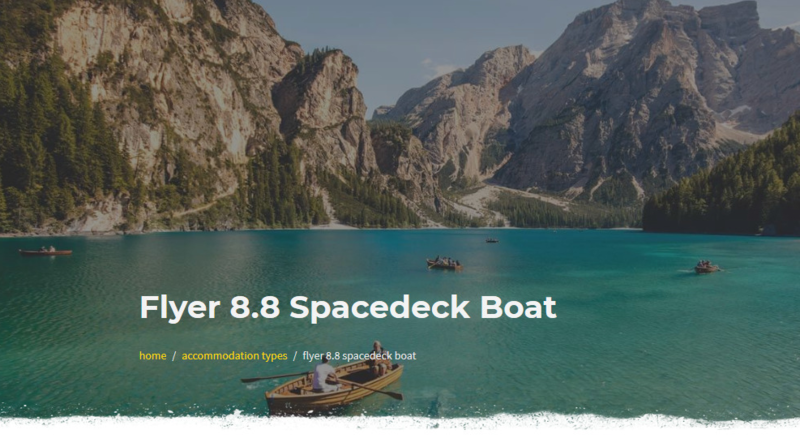 So if you are looking for a boat rental reservation system for WordPress, MotoPress Hotel Booking can solve your problem and help create a small business website. Of course, it’s not a 100% goal-directed rental software for a boat rental business, but it encompasses all on-demand tools and mechanisms required to handle online reservations and is ready to provide your prospects with modern and secure reservation experiences. Moreover, according to our customers’ feedback, the plugin is widely used for such kind of projects. Your questions or ideas? 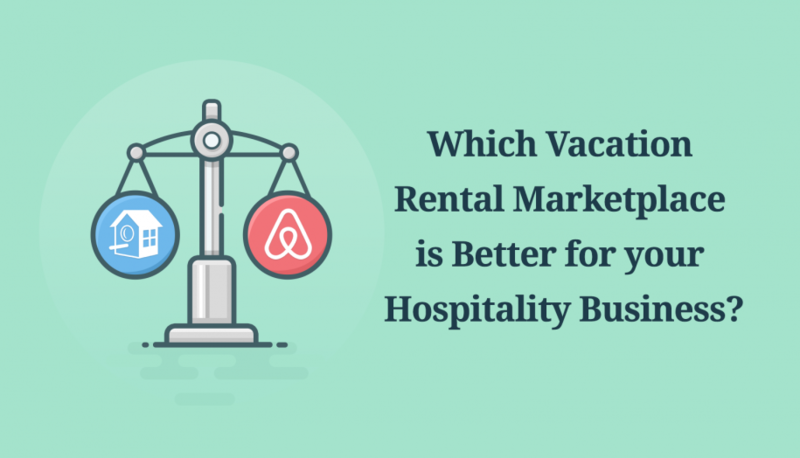 HomeAway vs Airbnb: Where to List your Rental Property? Want to become a guest writer? Send your guest post idea via the Contact Us page! Only useful WordPress content, please!